Akshay Kumar starrer Gold is creating the right noise with the posters and teasers capturing the attention of the audience. After garnering a phenomenal response at the theaters for the unique Gold promo, the makers of the sports drama are set to attach the trailer of the film with the much anticipated, Ranbir Kapoor starrer Sanju. Cine-goers will be treated with a double dose of entertainment with Sanju and Gold hitting the screens together. Gold traces the journey of a man dreaming to win free India’s first gold medal in Hockey. The sports drama starring Akshay Kumar takes the audience back in time to witness the struggle of a team to make the nation proud. 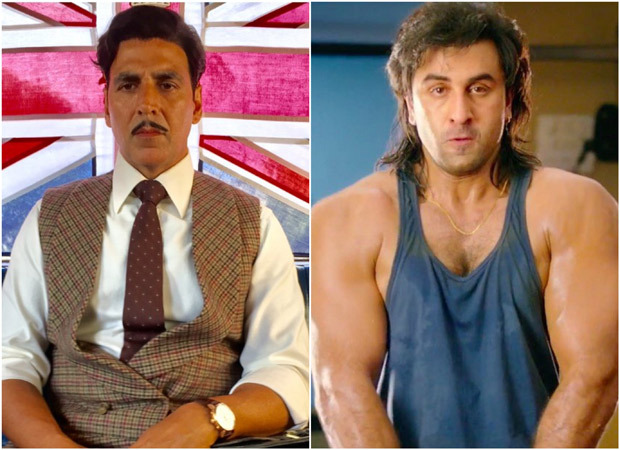 The upcoming sports drama starring Akshay Kumar will release this Independence Day marking 70 years of Free India’s first Gold medal at the 1948 Olympics. Also starring Kunal Kapoor, Amit Sadh, Vineet Singh and Sunny Kaushal, Gold promises power packed performances by an ensemble cast. The teaser depicted the struggle for India’s first Gold as a free nation. While we had won several medals under the British Raj, the story of this Gold medal was special.